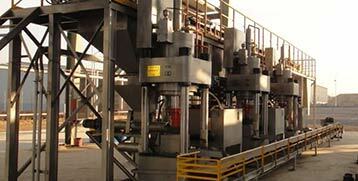 The metallized sludge briquette is a normal way to deal with the waste sludge in steel plant. With metallize way almost all the sludge can be recycled meanwhile non-ferrous metals can be removed (zinc, lead), the removed rate for zinc oxide can be more than 90%. The rotary hearth furnace is heated by the gas to temperature up to 1,300 Celsius. 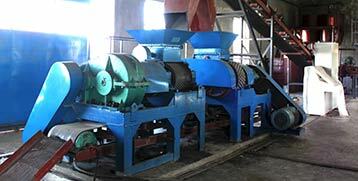 In this heating process, the iron oxide, zinc oxide reduction step by step, and output after one rotation. The gas-burned hot air around temperature 1200 Celsius, which is mixed with volatilized Zinc vapour and exhaust dust. It then transported by the dust removal pipe to the heat exchanger. Volatile Zn vapour is finally cooled and collected along with the exhaust dust as zinc fine powder. 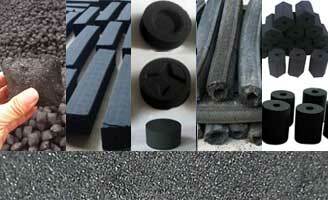 Sludge as the main raw material, other additives like coal or carbon is added as carbonaceous material. As well as making other sludge briquettes in the steelmaking process, the roller briquette press machine is also the choice. There will produce lots of metallic sludge briquette as it’s the commonest way of sludge recycling in steel plant. 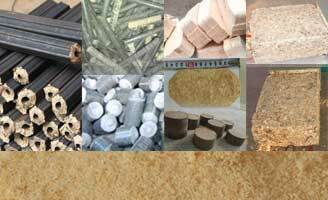 Dryer is recommended to make the quick continuous briquetting work. But in order to save the energy on drying process as well as the first investment, natural drying with blowing wind is also a way popular in steel plant. The main equipment in this iron making process is the rotary hearth furnace, less field is needed, no particular requirement of the raw material and short time on producing. 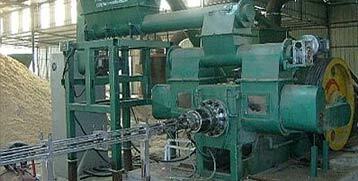 The exhaust heat is usually recycled for boiler or power generation. 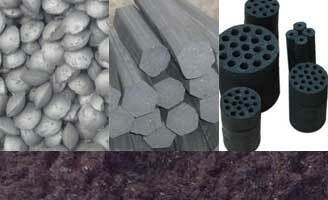 Compare to use sintering material in the furnace (use coal as a reducing agent), the metallized sludge briquette can highly reduce the SO2 in the exhaust. There’s no sewage and solid waste in the process of using sludge briquette, all the dust can be recycled.